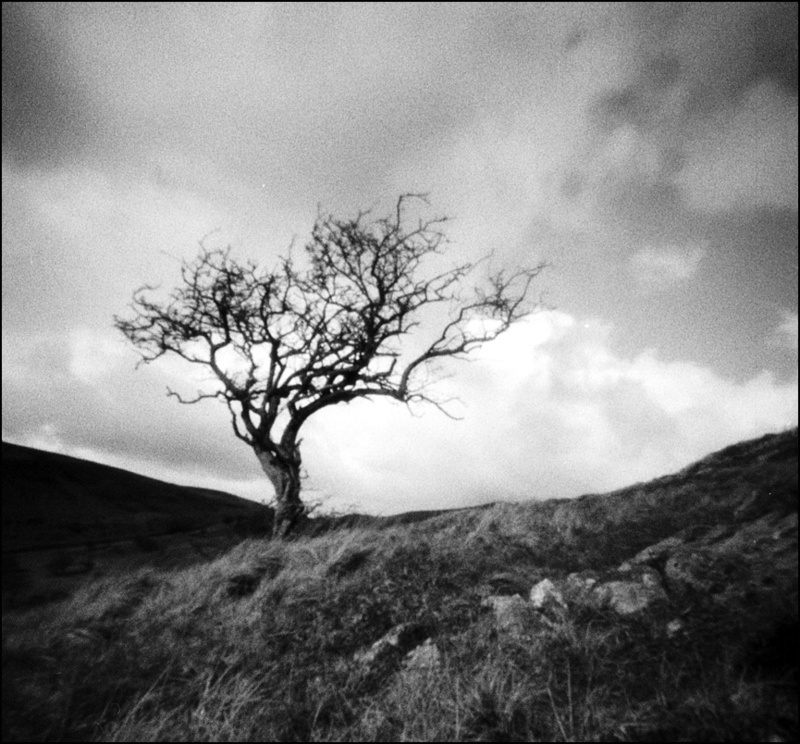 Sometime in 2003 I came across a post on an online photography forum discussing software that could be used to make an image look like a soft-focus pinhole photo. It talked about the dreamy, ethereal qualities of 19th century pictorialism but I wondered how much time and money had been invested for the photographer to do this on a computer. Cheaper to do it for real, I thought. I made a small wooden box for paper negatives that I could scan, and tested out making needle holes on some copper sheet. And then a second, larger box (the Neretta) for a Mamiya Polaroid back I'd picked up at a second-hand store. 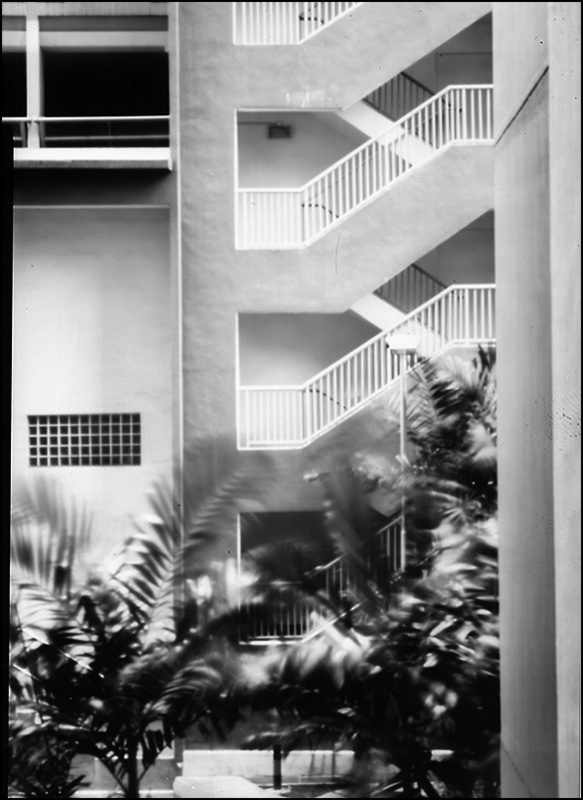 I was able to get more information from the forums, but a copy of Adventures with Pinhole and Home-Made Cameras by John Evans provided both information and insight into the value of experiment. After all, research is its own reward. 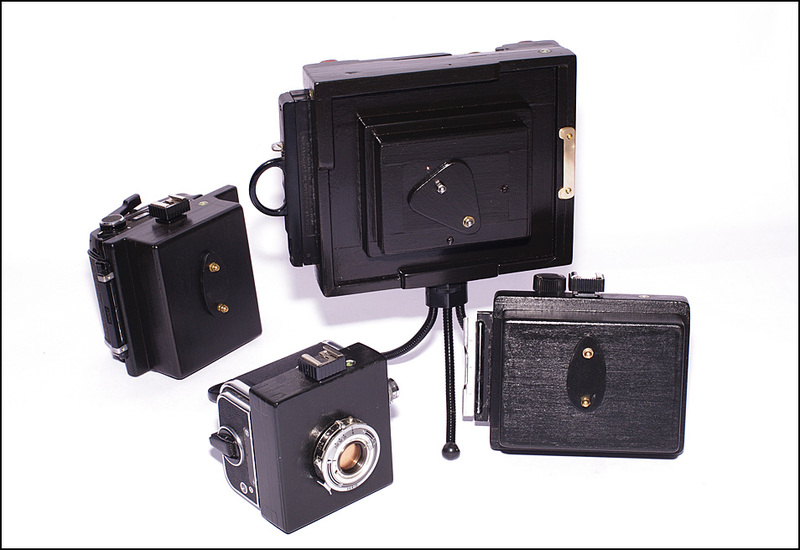 I didn't stick with Polaroids for long as I was interested in making wooden cameras for sheet film and 120, but at the same time, having seen the results that others had come up with, I realised it was also worth converting older classic cameras to pinhole and it was usually quicker. The RB67 film back needed a new set of grooves cut along the sides to enable it to slide onto a mid 1920's Voigtlander Vag 6.5x9 camera body, and a pinhole disk put in place of the original lens. It didn't matter that the shutter was sticky, as it only had to stay open or closed. 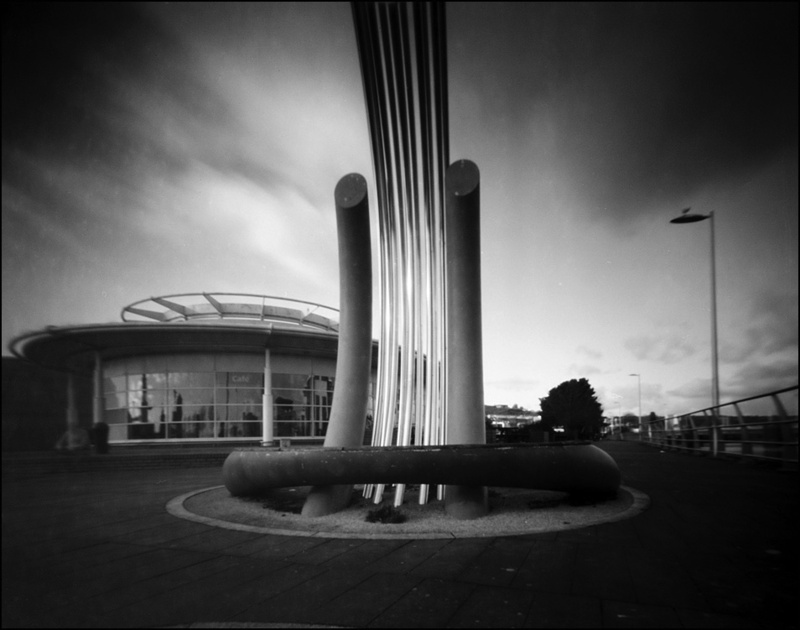 You quickly learn that the most impressive pinhole shots tend to be either wide, or close up, or both. 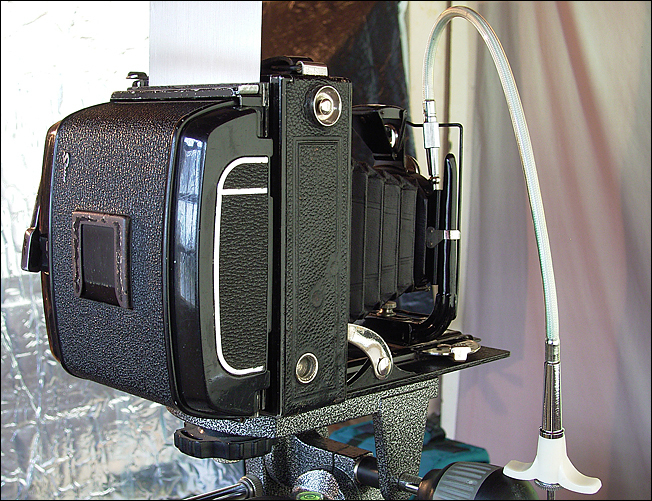 That means having a short focal length, such that on a regular 120 film camera some critical surgery becomes necessary - in this case permanently sealing the front door of the camera and mounting a shutter on the front. 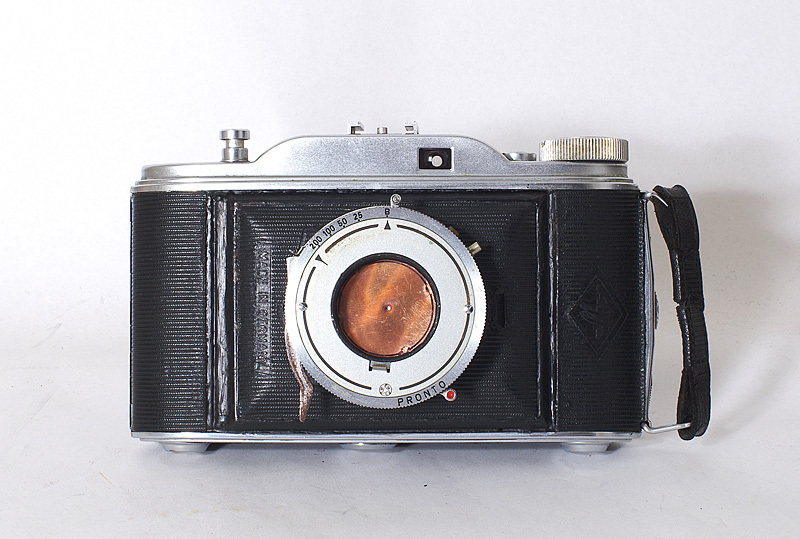 This reduced the focal length of the Agfa Record from 105mm to about 45mm. Having said that, a double exposure can help too, if this enables a closer representation of the experience rather than just a mundane record of a location. 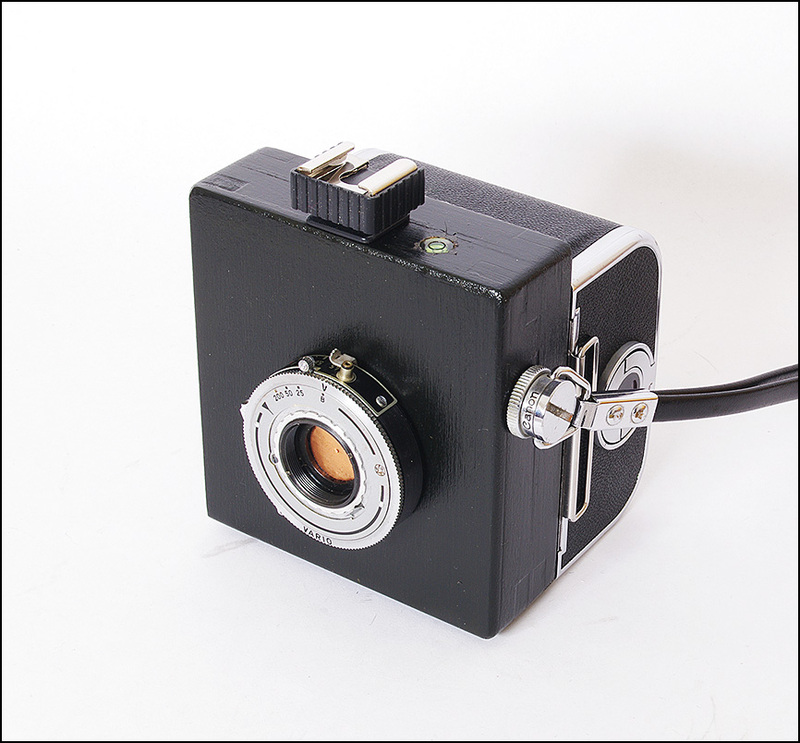 If you're torn between building a camera from scratch and modifying the mechanics of a commercially produced camera, one alternative is the body cap. 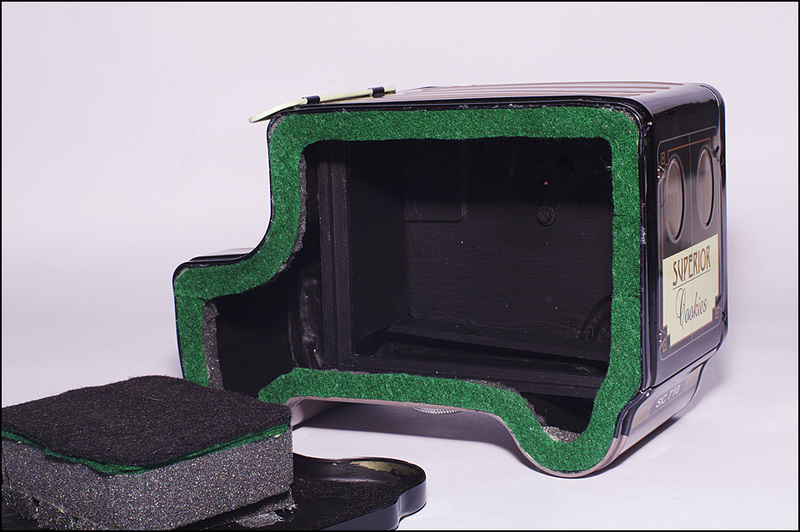 You drill a wide hole in the centre of the body cap and attach a pinhole disk to the rear and some form of shutter cover to the front - some thickness of black electrical tape is adequate. 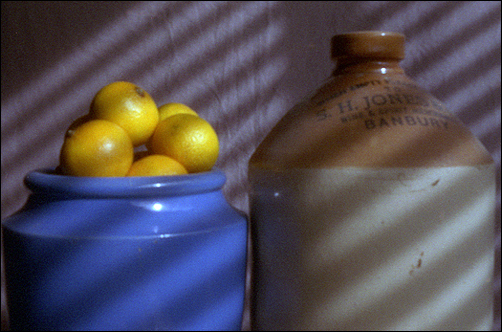 The following shot of two jars and fruit was taken with a 35mm Pentax camera on old Kodak colour negative film. It may be satisfying, but being a small negative there is a limit to how much it can be enlarged. 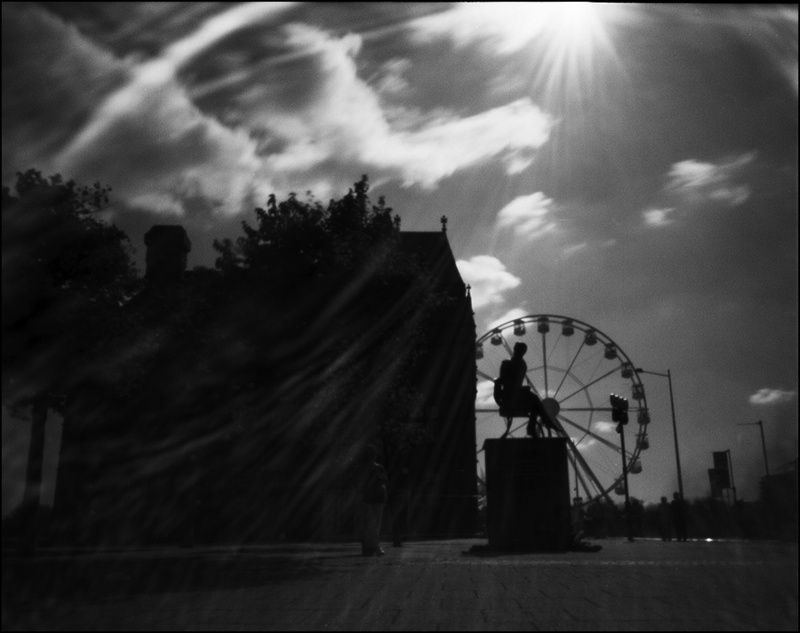 It's sometimes possible to hack into the rear of a 35mm camera to increase the negative size. 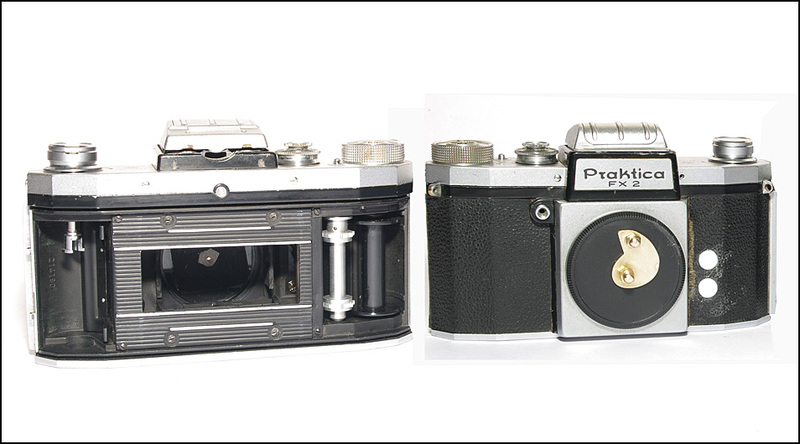 The Praktica FX models from the 1950s can be hacked very effectively, not in the height of the image which remains 28mm, but in the length which is expanded here to 60mm. Some effects can only come from a purpose built camera. 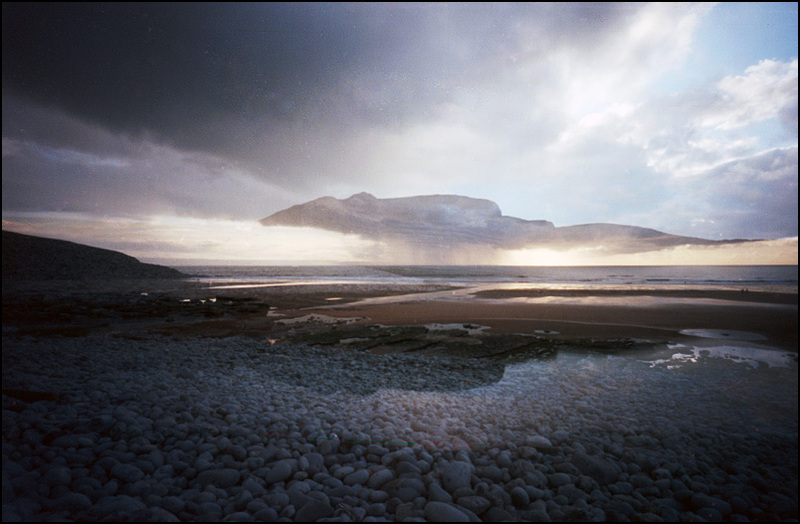 The following image of the Tawe river in Swansea comes from a pinhole box with three pinholes, operated manually, one after the other, to create a long panoramic negative on 35mm film. Sheet film can produce as large a negative as you want especially if you want to contact print on 8x10" film, but while I like using 4x5" sheets, 120 roll film is a good deal cheaper and in many ways more efficient, at least if you have an effective means for holding and winding the film in the camera. 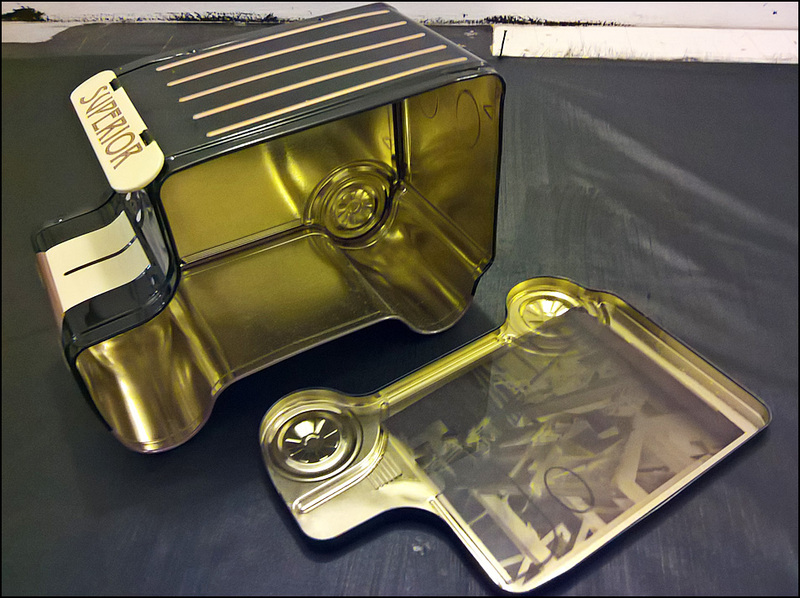 With time and materials you can make your own, but purpose-built film holders can fill the gap. Over the years I've picked up 120 roll film backs for 6x6, 6x7, and 6x9 formats, and these just need a film chamber on the front with a pinhole and cap. You can design them with whatever focal length suits your purpose. The Hasselblad A12 backs have one issue in the winding as they are designed with a lock that, if you don't have a Hasselblad handy, must be wound on by hand to get beyond the first frame. It is tricky, but I adapted a dental probe hook to catch the gear and pull it upwards, mimicking the action of the Hasselblad camera body. 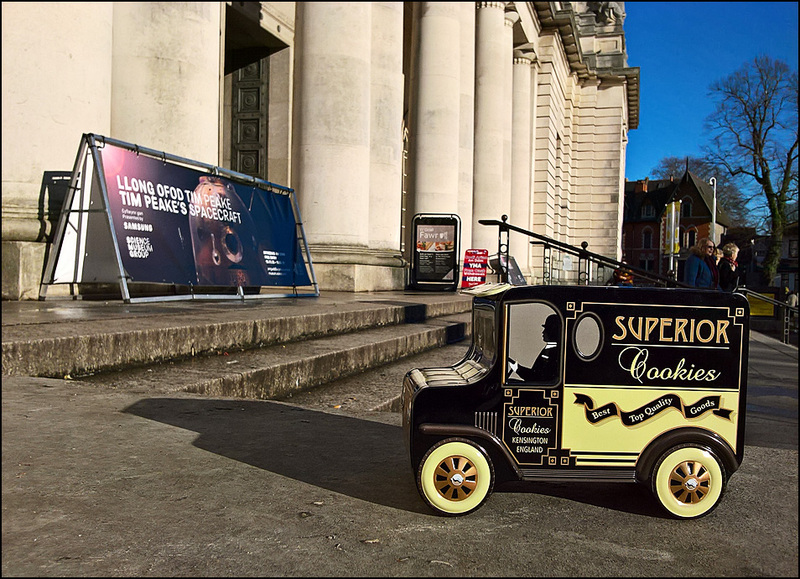 At the beginning of 2019 a friend sent me some home-baked biscuits in a very unusual tin. Apart from the excellent biscuits I was struck by the dimensions of the lid - would it be imperial or metric? It turned out that a sheet of 4x5" fitted the space perfectly. 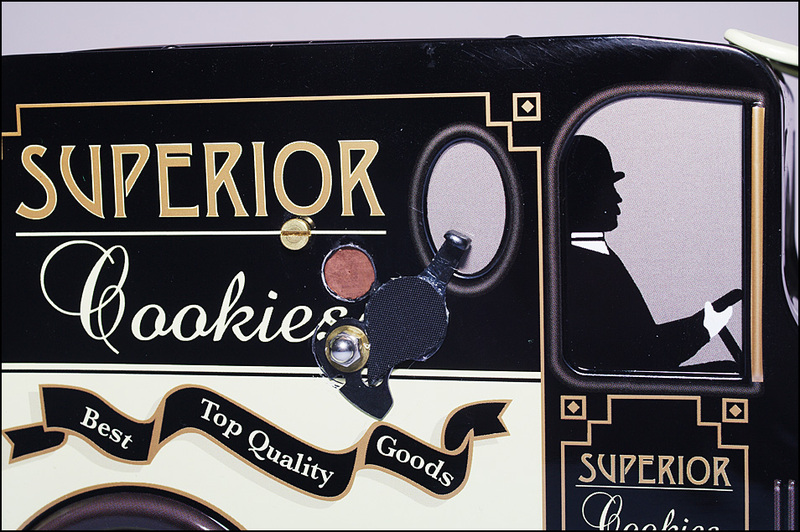 Almost any tin or box with a close-fitting lid can work as a camera. In this case the lid was a tight fit but since it was tin-plate it was sure to leak light at the seams. I used Liquid Electrical Tape, and matte black acrylic paint to fill the seams and prevent internal reflections. Then I had to find the centre, drill just above it, and root around for the aperture lever of an old rotary shutter and fix it in place with a stop point. The next task was to build a supporting frame for a sheet inside and then adapt the cover with a spacer to hold the sheet firmly in place. Light leaks around the opening are circumvented by a buffer strip of sponge, and a ribbon of felt around both surfaces. Plus, being a bit of a sucker for over-engineering, I couldn't resist adding a tripod socket under the chassis. 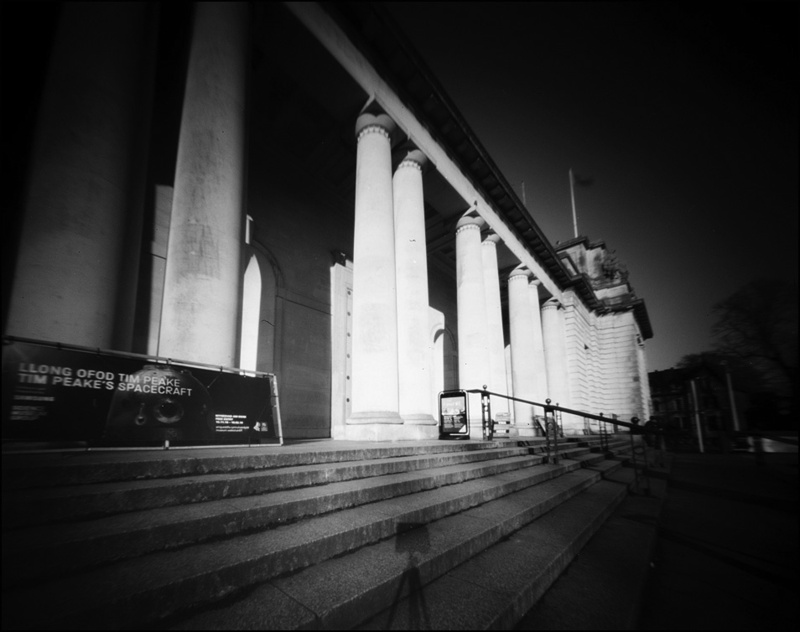 Any new pinhole camera has to have a test drive. The first shot was on Shanghai 100 film. 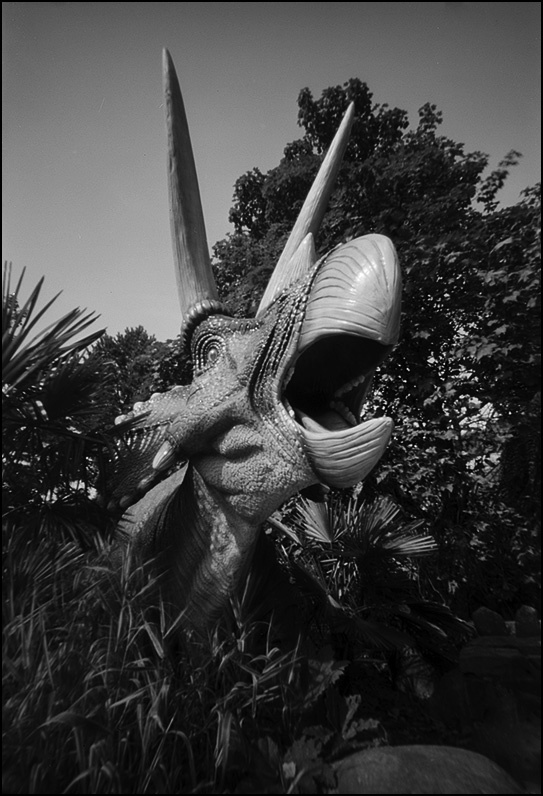 A better shot in better light, taken on Ilford Ortho Plus and developed in Rodinal. 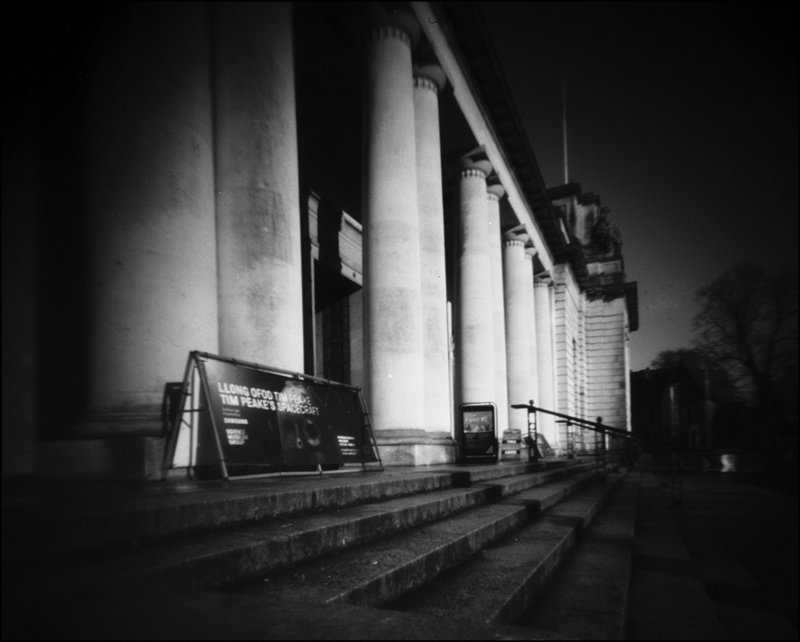 There are some other pinhole camera samples on the Cameraderie page. 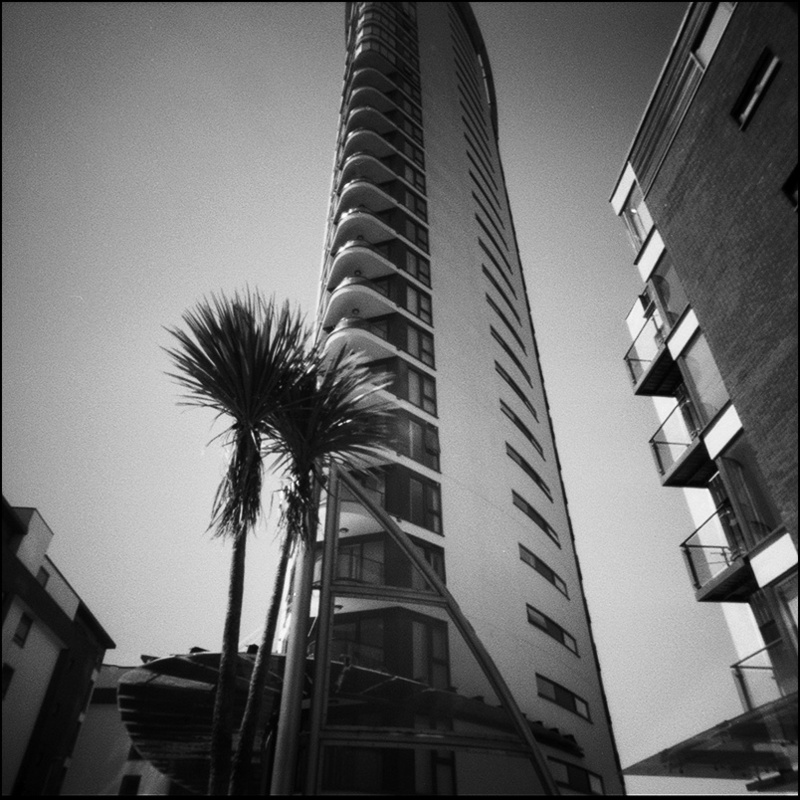 In place of a lightmeter I use a pinhole exposure disk available from Ilford. 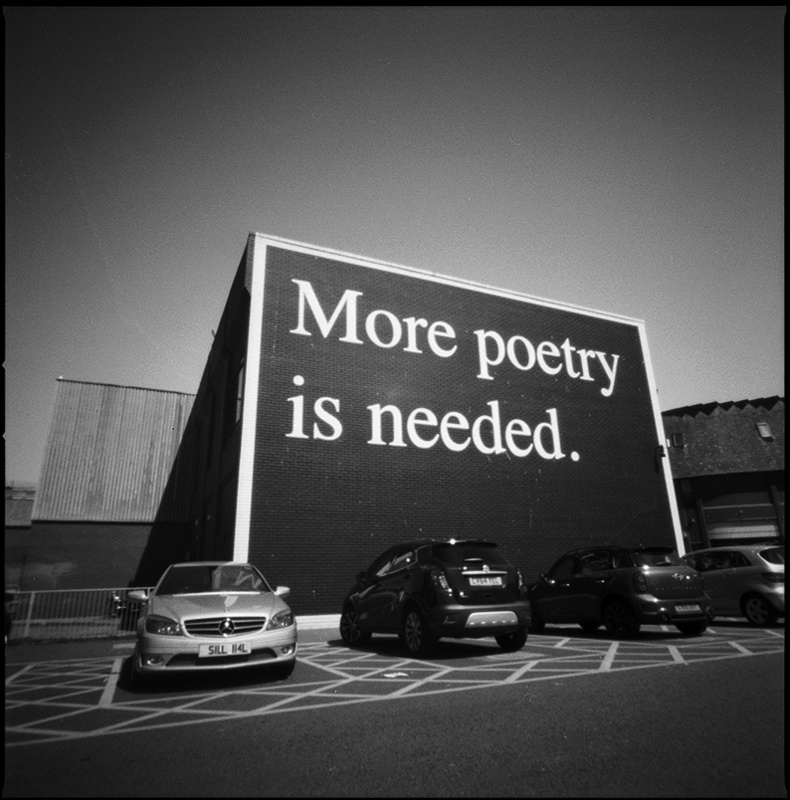 Ilfordphoto used to have it freely available on their website but you can find other sources for it online. There are also apps available for determining optimal pinhole size for your focal length as well as exposure guides for pinhole shooting. I used to make my own pinholes using copper sheet, but as it gets harder to make precise 0.2mm or 0.3mm pinholes ... I now get them from vist.lt in Lithuania.